Bold, Brash, and Beautiful. You’re past binds you, but it doesn’t define you. The brilliant metallic sheen is a result of colored glass. The color is added to the cup while it’s hot, so it will not chip or peel. 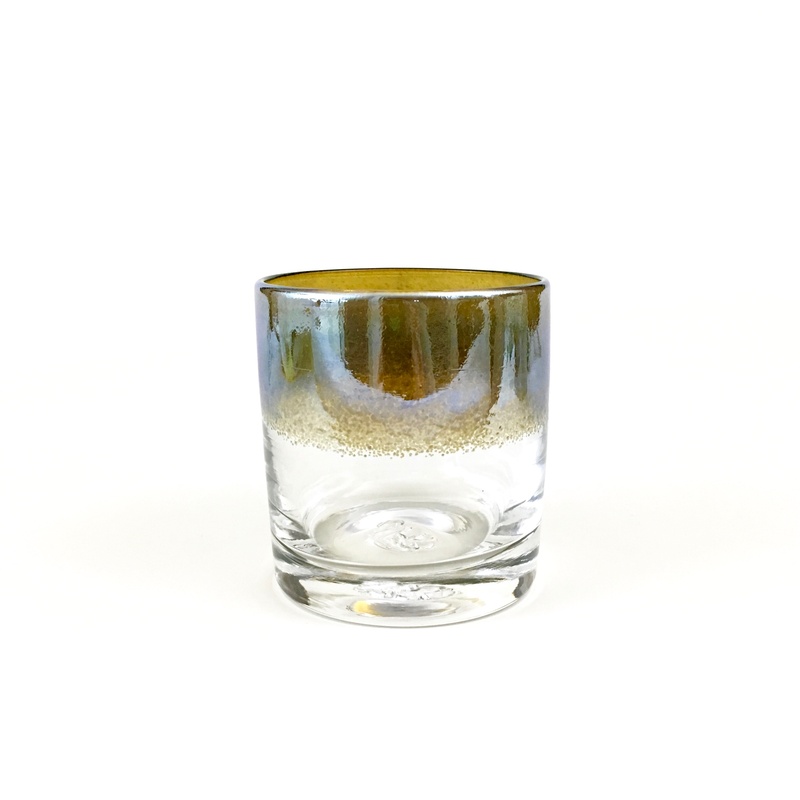 JFR glassware offers unique, 100% hand-made glass. Utilizing both traditional and modern techniques, each piece is individually transformed from a molten glob into a functioning vessel. This millennia old craft process engages the senses and invigorates the soul. Jared F Rosenacker is a custom glass artist living in Austin TX. He holds a Bachelor of Fine Arts degree from Bowling Green State University in Ohio where he graduated at the top of his class and was awarded the James W. Strong 3-D Studio Achievement Award. After graduation Jared moved to Seattle Washington where he immersed himself into the rich glass blowing scene, and continued his education periodically at The Penland School of Craft in North Carolina where he was the recipient of numerous scholarships. Most recently Jared spent 4 years working for the world-renowned Corning Museum of Glass in upstate NY. Through their outreach program, Jared demonstrated and educated his love for glass to guests onboard Celebrity Cruise ships. This experience allowed Jared to visit some 40 countries around the world. Having explored the many facets of a material that knows no limits, Jared is consistently drawn back to the simplistic function of a drinking cup. Enjoying the variety that life has to offer, Jared has blended his love for glass with his taste for finer things.